Alright, I can't personally verify how good these deals will be, but from what I've read, you're in for some pretty amazing deals. The Singapore Police Force Auction, hosted by Knight Frank, takes place about 3-4 times a year. At these sessions, items confiscated during criminal investigations, seized items from theft, lost items turned over by the public etc. will be put on auction. All sales proceeds from these auction goes to the publicly consolidated funds under the Ministry of Finance. The process is very simple. Prior to the auction, there will be two viewing days for interested bidders to look at the thousands of items on auction. After registration and a declaration of non anti-competitive conduct, you will receive a bidding card which gives you the right to bid on auction day. Now in case you're thinking this is just another auction where they try to get rid of damaged/used/cheap/dirty goods, think again. In the recent June auction, items include designer bags, luxury watches, brand new DSLR cameras, iPads and even some good ol' whiskey bottles. Back in 2011, a 6.6g diamond was sold for $22,900. I know little about diamonds but perhaps someone can verify if that was a good deal? 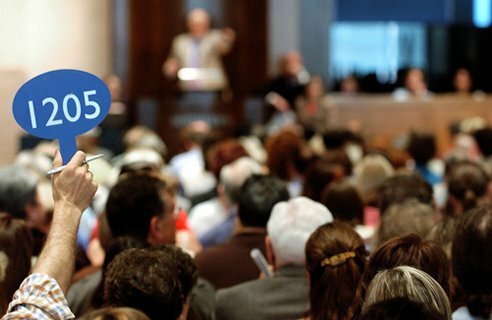 As these sessions are not publicized, attendance at the auctions are usually very low. In some instances, Nikon DSLR cameras were sold for the minimum bid of $30 because there were no other bidders. I don't know about you, but some serious bargain hunting takes place at such auctions. Now, back to the program - Auction ARBITRAGE! The arbitrage opportunities from these auction sales are plenty. I am pretty sure a $30 Nikon DSLR can fetch you at least 5-10X out in the market. Well, the disclaimer is that I can't verify these values and potential margins you could make, but heck it does sound like a good opportunity doesn't it? If you want to know how to get informed about future auctions, "like" our Facebook page and we'll drop you a private message. "Well, the disclaimer is that I can't verify these values and potential margins you could make.."? Does it mean we cannot sell the items?